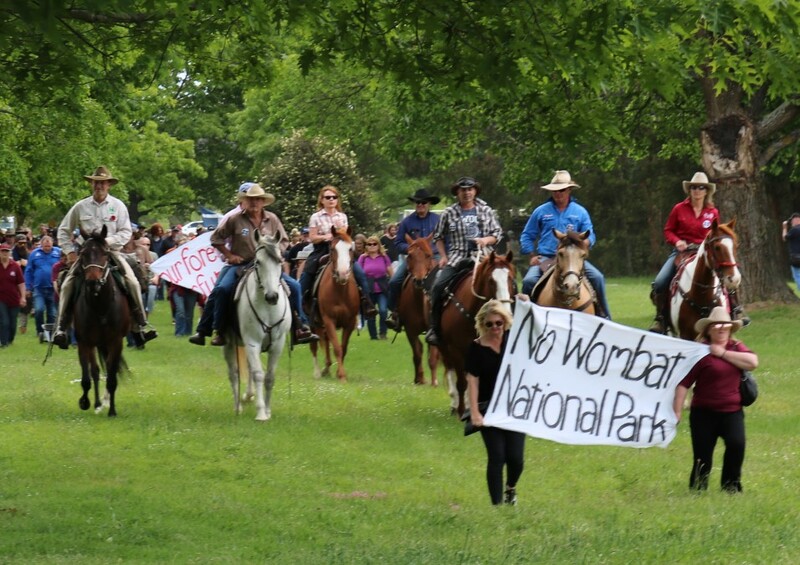 Hundreds of campaigners against reclassification of the Wombat State Forest marched through Gisborne last month in protest. 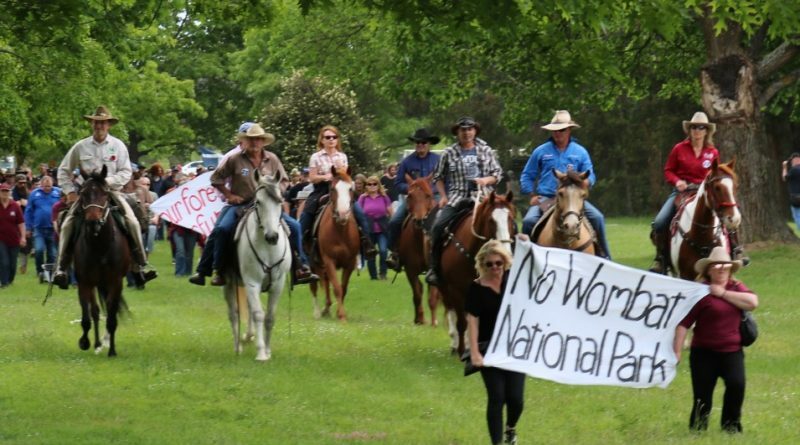 Controversial plans to reclassify state forests in the Macedon Ranges as national parks could proceed without local council input. Macedon Ranges Shire Council must halt action on a 5-4 councillor vote in favour of a submission largely supporting the move, after Cr Henry Bleeck lodged a rescission motion last week. Councillors will now be forced to revisit the topic at their December 19 meeting which falls after the submission cut-off. 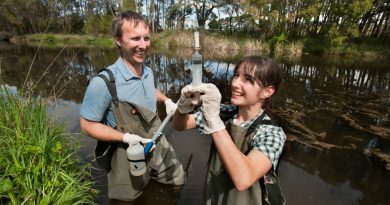 The Victorian Environmental Assessment Council draft proposals paper seeks to provide greater protection for water catchments and high-value habitat for threatened species, however, some feel the restrictions are too great. The proposals paper recommends some separation of forest activities and to change the terms of where activities can place such as camping, prospecting and horse-riding. Uses such as four-wheel driving, trail-bike riding and mountain biking will be allowed on formed trails. Council’s environment coordinator Michelle Wyatt said council’s submission largely supported the directions in the draft paper but recommended clarity around the criteria of re-classification and allowable uses for consistency and appropriate environmental protection. Councillors to vote against the submission as it stood were Henry Bleeck, Roger Jukes, Andrew Twaits and Bill West. The council will need to apply to VEAC for an extension to have its submission included. 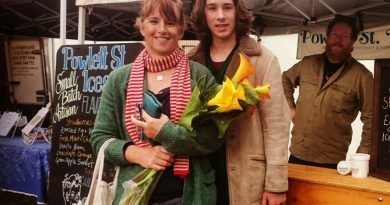 Powlett St. Ices can be found at the Lancefield Farmers Market on Saturday. 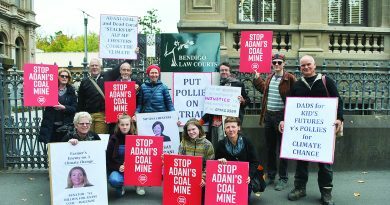 Local Central Victoria Climate Action group members support two of their Castlemaine members who fronted Bendigo Magistrates Court on Friday charged with trespass.